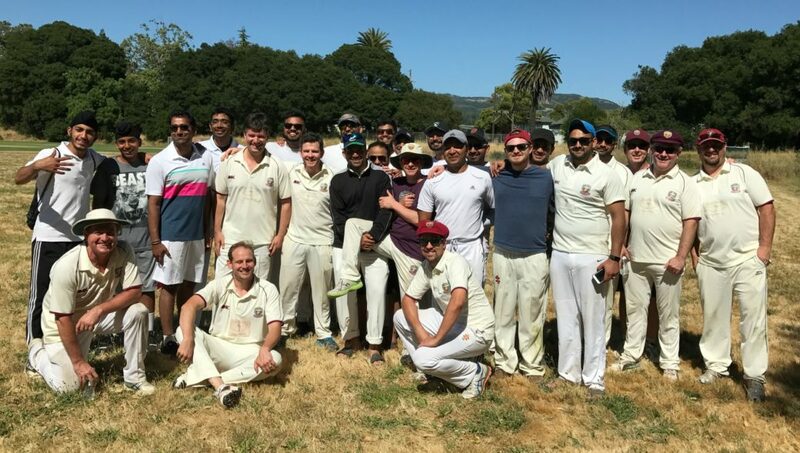 A historic day for the Napa Valley Cricket Club (NVCC) with their first ever cricket match in the city of Napa ended in a chastening defeat to wine country rivals Sonoma Gullies recently. Despite a strong showing with the bat from Pete Sander and four wickets apiece for Karan Grewal and club captain Bernie Peacock NVCC had no answer to a strong team performance from the Gullies. The Napa Valley Cricket Club (NVCC) regular home and away cricket season started this past weekend with the inaugural playing of the ‘Vino Cup’ against the San Francisco Seals Cricket Club in Calistoga. 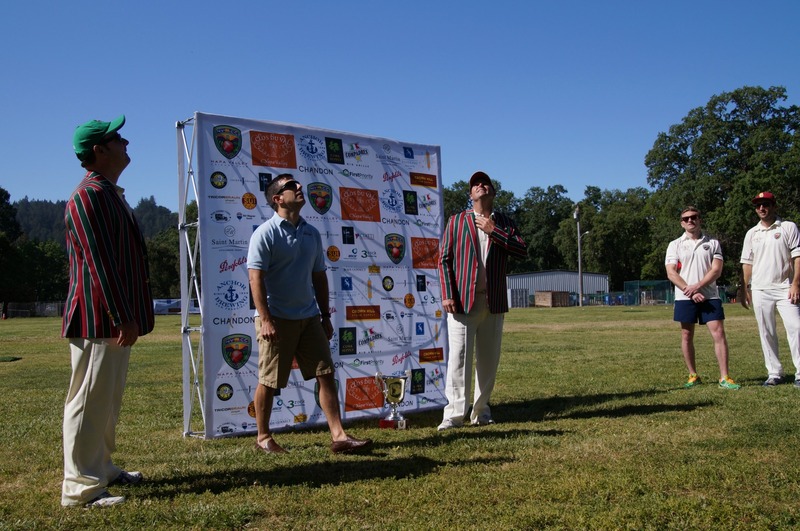 The SF Seals team are a new addition to the teams that visit Calistoga having been formed out of an Australian Rules Football team based in The City. On a beautiful Spring morning, NVCC Club Captain, Rob Bolch won the toss and elected to bat first with a plan to build a big total in their 35 overs. Unfortunately that plan got off to a rocky start when Bolch himself got an inside edge to a low ball on the 5th ball of the day, and played the balls onto his stumps. 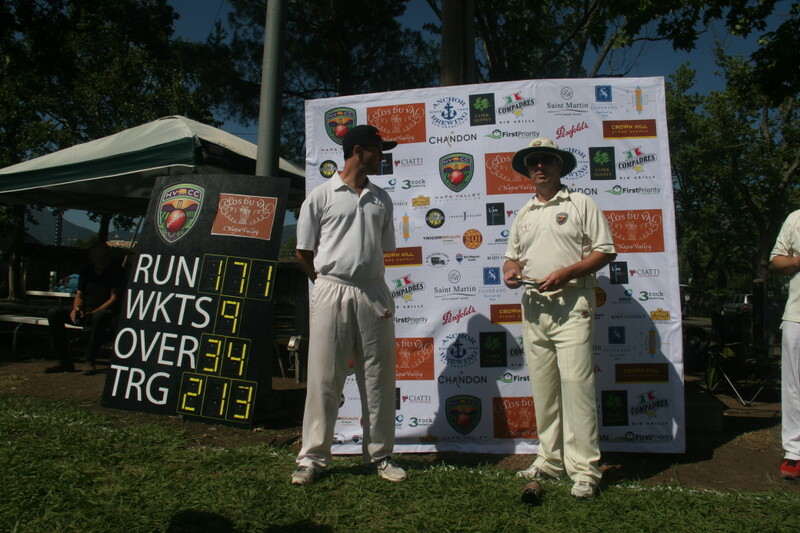 With the NVCC score was still zero fellow opening batsman Dale Moorhouse was joined by Australian Nick Withers at the crease. NVCC Opening Batman Dale Moorhouse who scored 74 runs off 57 balls. Moorhouse and Withers began the task of steading the NVCC innings, which they did, seeing off the early pace attack of the SF Seals. Once settled the pair then started to build a partnership with singles and the occasional boundary. Their second wicket partnership of 142 runs was ultimately the difference between the teams and they weathered lots of bowling changes by SF Seals Captain Johnny Carpenter who searched in vain for a breakthrough. 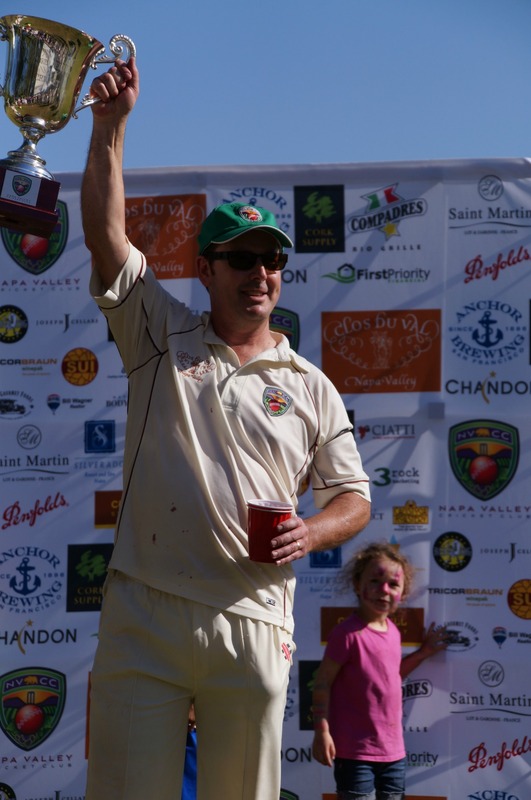 Withers, who has been in solid form since last year, when he made two 50’s, and started the 2015 season recently with a 41 in the World Series of Cricket graciously retired on 55 to allow other NVCC players the opportunity to bat. Moorhouse meanwhile continued to pile on the runs with numerous late boundaries, and was finally out for a masterful 74 runs in a chanceless innings of batting. The tail of the NVCC innings saw some big hitting from Pakistani Moe Maqsood with a quick-fire 26 runs from 24 balls that included three maximums (6 runs). A series of solid mini partnerships took the score from 3/150 in the 22nd over, to a total of 7/212 by the end of NVCC batting innings in the 35th over. 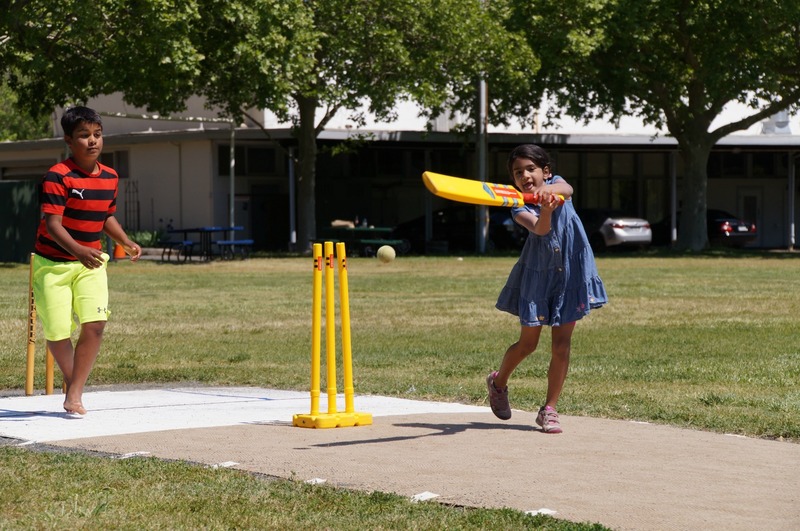 A number of new NVCC members got a chance to bat with New Zealanders Jade Barrett and Tony Parrish, Indian Hardeep Takhar, Aussie Tim Kay all contributing solidly to the NVCC score. 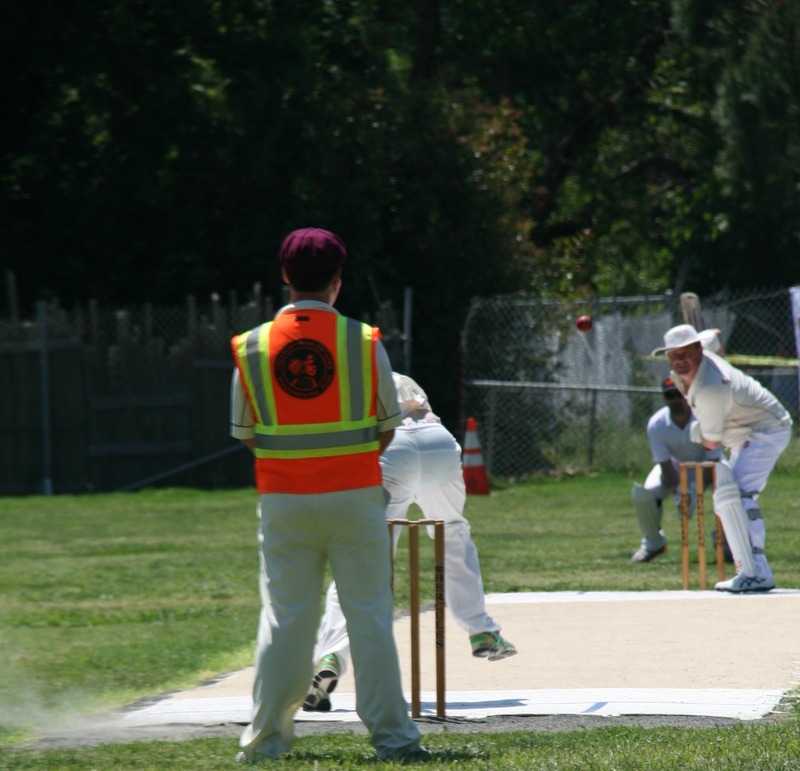 On the bowling front for the SF Seals opening bowler Jack Tse and Carpenter were the pick of their attack with Tse taking 2/24 off 6 overs, and Carpenter taking 1/4 off 6 over in an incredibly economical bowling effort. Carpenters efforts helped keep the NVCC total to a chasable 212 as at one stage it looked like NVCC were headed for a score of 250+. The tradition mid innings lunch-break saw the visitors treated to a real Aussie and Kiwi tradition of meat pies, sausage rolls and pasties for lunch prepared for the day by expat Aussie, Cam Chhan and family at Vallejo Great Donuts on Tennessee St, Vallejo. The food proved to be a big hit with everyone, including a handful of loyal NVCC supporters. 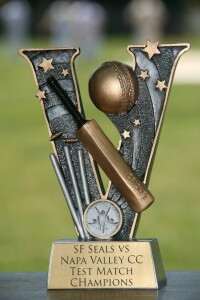 The SF Seals opening pair of Busch and Lees, looking resplendent in their black caps with orange seal logo, set about chasing the formidable NVCC total. Behind the stumps for NVCC was club stalwart Pete Carson who wore the gloves in the absence of any of the clubs regular wicket-keepers. 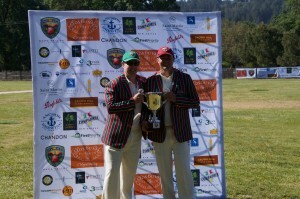 Tim Irwin opened the bowling for NVCC with a fierce display of fast bowling. Irwin was unlucky not to take a catch off his own bowling in the first over when the sun got in his eyes and he was unable to hold the catch. Irwin was very ably supported by the left handed pace bowling of Maqsood, with both being very economical and finishing with 0/7 off 3 overs and 0/10 off 4 overs respectively. 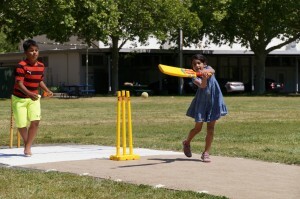 The first NVCC bowling change produced an immediate result, with the ever reliable and economical, New Zealander Bernie Peacock, taking a wicket in his first over with a great catch in the deep by Maqsood. Peacock was unlucky not to get three or more wickets when several catches were dropped off his bowling, with the sun continuing to play havoc with Irwin’s on field sight. Peacock finished with 1/19 off 4 overs, but it could have been so much better if the catches were held. The Seals built a nice little 2nd wicket partnership between Busch and Carpenter, as they put on 63 runs until Parrish broke through and picked up his first NVCC wicket getting Carpenter out caught in the gully by Takhar. It was a vital break through, as Carpenter had put on an impressive quick fire 43 runs off 33 balls and was looking to take the game to NVCC all on his own! With NVCC having one of its strongest bowling attacks ever, the bowlers were rotated at a consistent rate. Barrett (0/32), Parrish (2/17) , Tim Kay (0/5 off 3), Takhar (1/20), Withers (2/17), and Bijoy Ojha (2/4) all bowled well and kept the wickets tumbling, supported by some smart catching by Aussies Pat O’Neill, Tim Kay and part-time wicket-keeper Irwin. Once the SF Seals opener Busch fell for a very well fought 34 in the 23rd over, the SF Seals were 6/122 and it was pretty much game over. 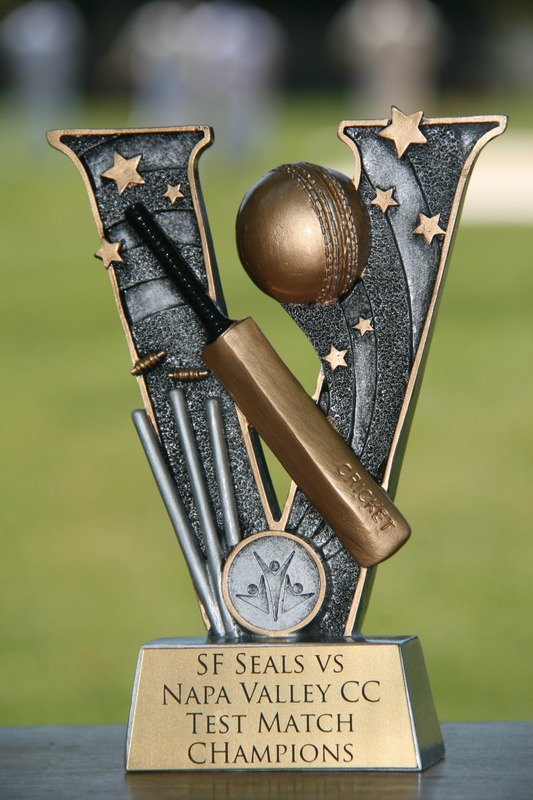 The Seals batted out to complete their 35 overs, with a final score of All Out for 171, and a 41 run victory to NVCC. The pick of the bowlers for NVCC was Dale Moorhouse who took a very respectable 3/18 off 3 overs. This capped off a brilliant day for Moorhouse as he again showed was a great asset he is to NVCC in all departments. He deservedly was called out by Bolch at the end of the game for his efforts in playing a major role in NVCC’s first win in the 2015 season. The NVCC Clos du Val Man of the Match award for the opposition team went to Johnny Carpenter with a great all round Captain’s performance. Captain Carpenter then presented the inaugural Vino Cup to winning NVCC Captain Bolch, which will now become an annual tradition between NVCC and the SF Seals. 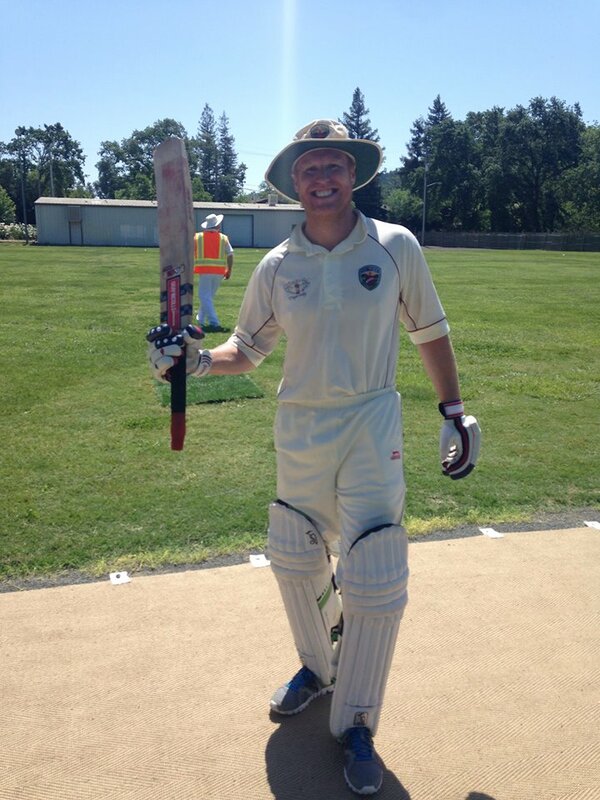 Napa Valley CC Batting – Dale Moorhouse 74 off 57 balls (13 x 4, 1 x 6), Nick Withers 55 off 62 (9 x 4, 1 x 6), Moe Maqsood 26 off 24 (0 x 4, 3 x 6). 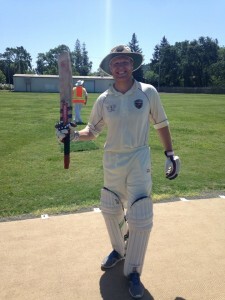 Napa Valley CC Bowling – Dale Moorhouse 3 wickets for 18 runs off 3 overs, Bijoy Ojha 2 for 5 off 2, Tony Parrish 2 for 17 off 3.5, Nick Withers 2 for 17 off 3.